WASHINGTON — A small contingent of U.S. special operations forces is operating out of Mali, where violence is soaring and heavy weapons from former Libyan dictator Muammar Gaddafi’s plundered armories flow through the country. 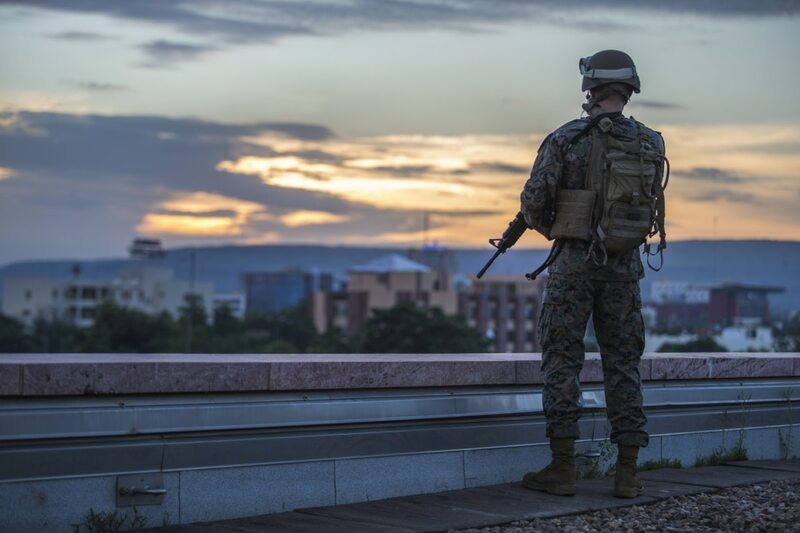 Operating at the request of the Malian government, U.S. forces face a task fraught with complications stemming from Mali’s complex political atmosphere, which features a plethora of extremist groups, terrorist organizations and sophisticated weaponry. U.S. special operators are coordinating and sharing information “with international counterparts as they continue to counter Al-Qaida in the Islamic Maghreb (AQIM) to bring stability to the region,” Samantha Reho, a spokesperson for U.S. Africa Command, told Military Times. AQIM is not the only nemesis in town, however, nor is it the only name brand al-Qaida organization in the country, according to Reho. The strength of AQIM is assessed in the neighborhood of “at least 1,000 fighters,” and the terror group “employs near daily conventional terrorist tactics, including guerrilla-style ambushes, mortar, rocket, and IED attacks,” Reho said. AQIM, though, is highly interconnected to other al-Qaida and terrorist offshoots. In March, Ansar al-Din emir Iyad ag Ghali formed a new umbrella organization under the banner of Jamaat Nusrat al Islam wal Muslimin, or JNIM, an organization comprised of AQIM’s Sahel Zone, al-Murabitun, the Macina Liberation Front (MLF) and Ansar al-Din (AAD), Reho explained. But, according to Reho, JNIM doesn’t necessarily represent an increased or new threat in Mali, because these organizations have already been allies for several years and have previously carried out joint operations. The complexity of the interwoven organizations is still substantial, though, making it challenging for even western militaries and intelligence services to counter. “AQIM, al-Murabitun and Macina Liberation Front (MLF) jointly conducted the 2015 Radisson Blu hotel attack in Bamako, Mali,” Reho told Military Times. U.S. efforts in the region are geared at assisting the international effort in-country, especially that of France, “to degrade the capabilities of violent extremist organizations in Mali to execute violent attacks and to disrupt, dismantle, and defeat their networks,” Reho said. In 2014, nearly 3,000 French troops, with the aid of former French colonies in the Sahel region, launched Operation Barkhane to cleanse the region of terrorism, according to a BBC report. That operation is still ongoing. “The French really have taken the lead for the fight in Mali,” said Bill Roggio a senior fellow at Foundation for the Defense of Democracy and editor for FDD’s Long War Journal. U.S. forces “are likely giving the French support with ISR [intelligence, surveillance, reconnaissance] and things of that nature,” he added. But internal threats to Mali’s security are vast and go beyond al-Qaeda terror groups. Mali is also threatened by classical insurgent groups, some of which have been strengthened by a flood of heavy weapons after Libya’s revolution to depose Muammar Gaddafi emptied the country’s armories. Some of those heavy weapons have made it into the hands of Mali’s own mixed basket of deplorables. In January 2012, Tuareg separatists with the National Movement for the Liberation of Azawad, or MNLA, launched a major rebellion against Malian forces. That rebellion included alliances with al-Qaeda offshoots, according to a 2013 report from Small Arms Survey. “That border area is really destabilized. You have fighters from Mali training in Nigeria, and even elements of al Shabab out in Somali supporting their al-Qaeda allies in Mali,” Roggio explained. That rebellion differed “in scale and intensity to previous Tuareg rebellions in northern Mali, a factor that many international commentators have attributed to an outpouring of weapons, ammunition, and related material from the 2011 Libyan civil war,” the report reads. While many weapons have been captured from Malian troops on the battlefield, insurgent groups have “also obtained larger-calibre weapons from post-Qaddafi Libyan stockpiles,” according to the 2015 report. With the flood of weapons and insurgent organizations, it’s no surprise that violence spiked from just over 50 violence-related deaths in 2011 to over 500 in 2012, according to data compiled by the Armed Conflict Location and Event Data Project out of the University of Sussex. “With the collapse of the Qaddafi regime, it certainly aided their fight,” Roggio said. 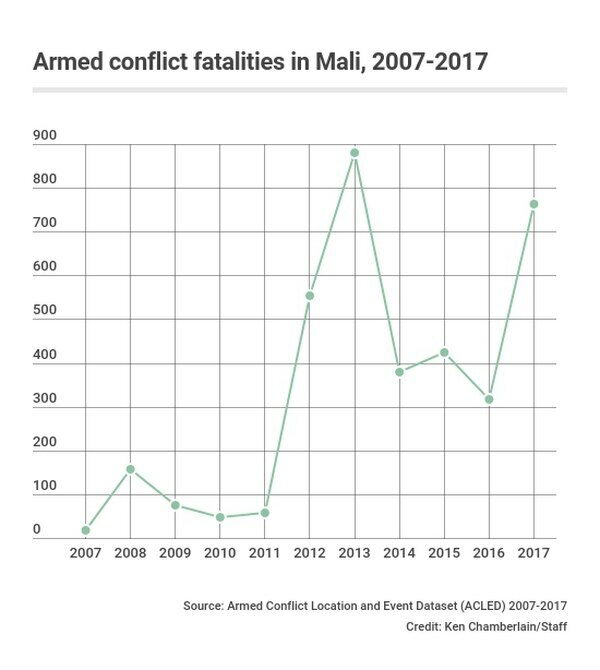 This year, according to ACLED data, is on track to be the most violent year in Mali in over a decade. Over 750 have died as a result of the conflict this year, compared to just over 850 in all of 2013. “Weak governance and ungoverned spaces have become a breeding ground for violent extremist organizations, such as in northern Mali,” Reho said.